Signed and dated l.r., "David Roberts R.A. 1864"
F.W. Cozens, pre 17 May 1890, Sold Christie's London, 17 May 1890, lot no. 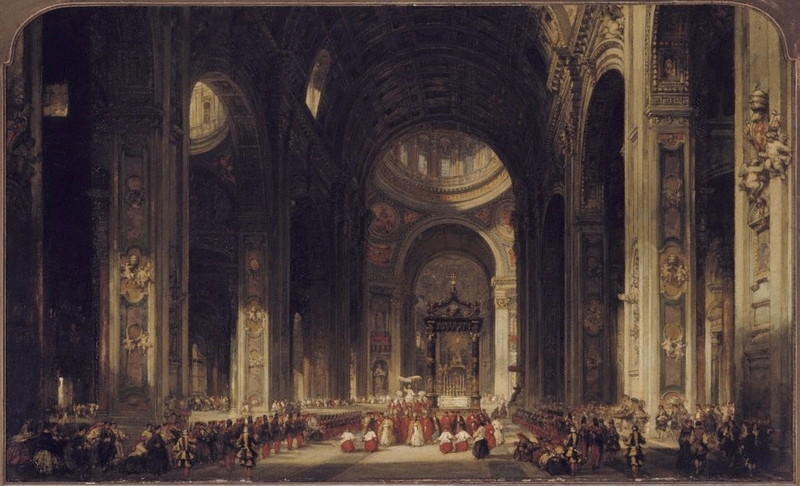 128 as 'Interior of St Peters Rome' 27½ x 46½. Messrs Vokins, 17 May 1890, London/England, Purchased by the AGNSW from Messrs Vokins 1890. Purchased by Messrs Voskin at Christie's London, 17 May 1890, lot no. 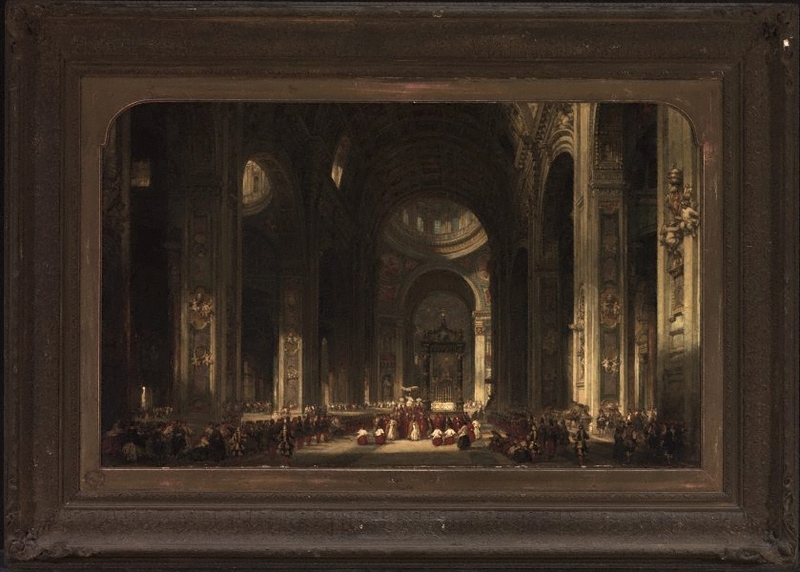 128 as 'Interior of St Peters Rome' 27½ x 46½. Art Gallery of New South Wales catalogue of British paintings , Sydney, 1987, 168 (illus.). David Roberts R.A., 1796-1864: A biography , London, 1984, 306, 311. The Life of David Roberts RA , Edinburgh, 1866, 224.